Even if you do not drink beer, no trip to Bavaria is complete without a visit to a beer garden and a beer hall. From the first signs of spring until the end of fall, outdoor beer gardens are extremely popular. In the cooler months and evenings, the massive beer halls take the place of these outdoor venues. 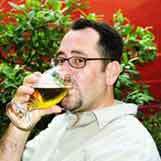 Most beer gardens and halls serve beer from one of the six major breweries in Germany or a local brewery. Contrary to what you might expect, most German beer is very light in color and taste. Maybe this helps to account for the 150 liters the average person in Germany drinks each year, and the 400+ beer gardens in Munich alone. When you arrive at a beer garden, pick a table and have a seat. Tables are usually bench style, like picnic tables. They are shaded by trees and or umbrellas. Large beer gardens are mostly self serve. You'll go to a small building where the beer is being poured (at an almost constant rate), grab your beer, and some food if you want, and head for the cashier. Many beer gardens charge a deposit for the glass. When you are finished you return the glass for your refund. If there are some tables with table cloths at a beer garden, it is to signify that at those tables you will be served, and pay for that service. Inside a beer hall, you will almost always have a server. Common foods at a beer garden or hall include wurst (sausage), fries, salads and large pretzels. The following are important terms to know for your visit to the beer garden or hall. Germany is known world wide for their white wine, particularly Riesling. The Rhine and Moselle Valleys are two of the top wine producing regions in Germany. You will find that German white wines are sweeter with a fruiter nose than wine often produced in the States. A weinstube or wine room is an establishment that serves wine and some food. Often the food will be a sampling of cheeses and breads to compliment the wines offered. A weinstube is almost always paneled in dark wood and often quite smoky. Some weinstube will offer a sampler, where you pay one price to try a variety of local wines. The following are important terms to know for your visit to a weinstube.